Roasting Brussels sprouts brings out their natural sweetness and it is truly the simplest way to prepare them. For these Simple Roasted Brussels Sprouts, I trimmed off the end of the sprouts, cut them in half and tossed them with a tablespoon of bacon grease which I had liquefied in the microwave oven. I loved the subtle bacon flavor with the sprouts, but you could use any other fats. Olive oil and coconut oil are both good choices. 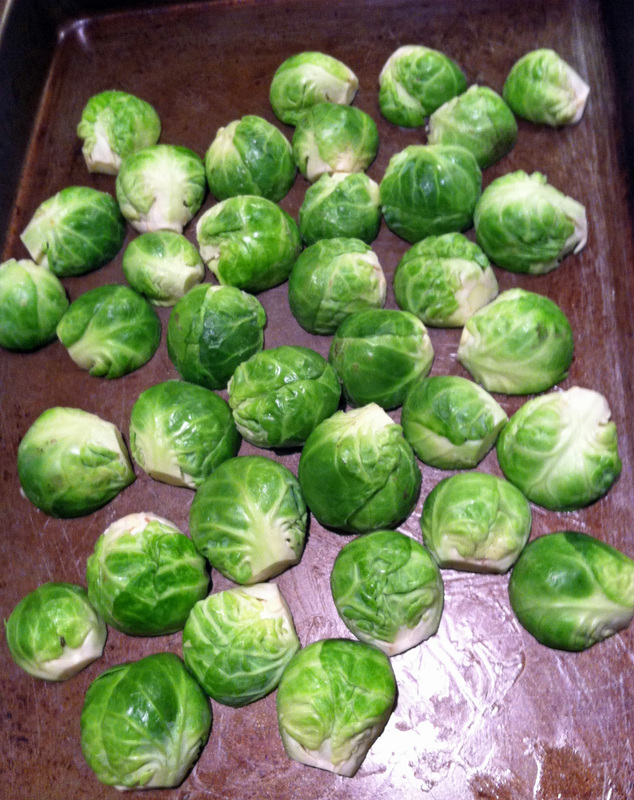 I have read that there are people who thought they hated Brussels sprouts until they tried them roasted. I think Simple Roasted Brussels Sprouts just might convert some of the sprout-haters. Especially if you use bacon grease. 2. 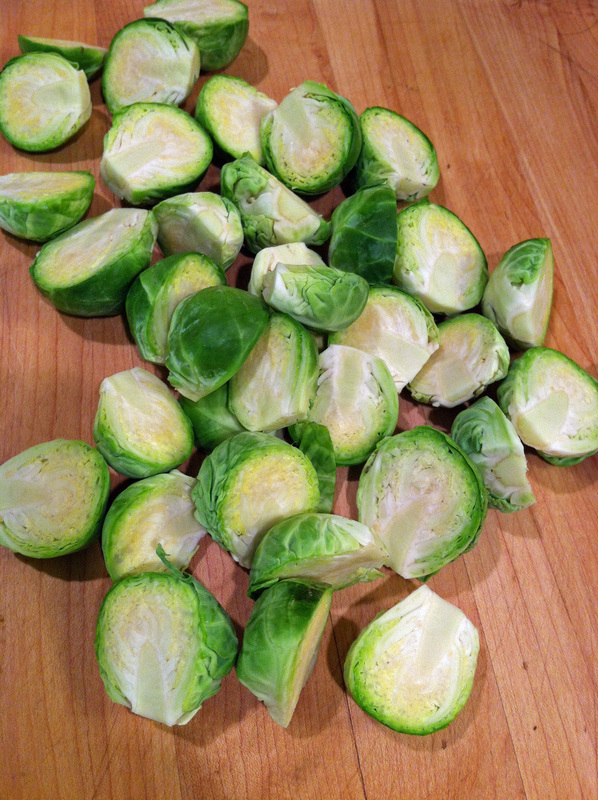 Trim off the end of the Brussels sprouts and cut in half. 3. Heat the bacon grease (or coconut oil) in a microwave oven until it is melted. 4. 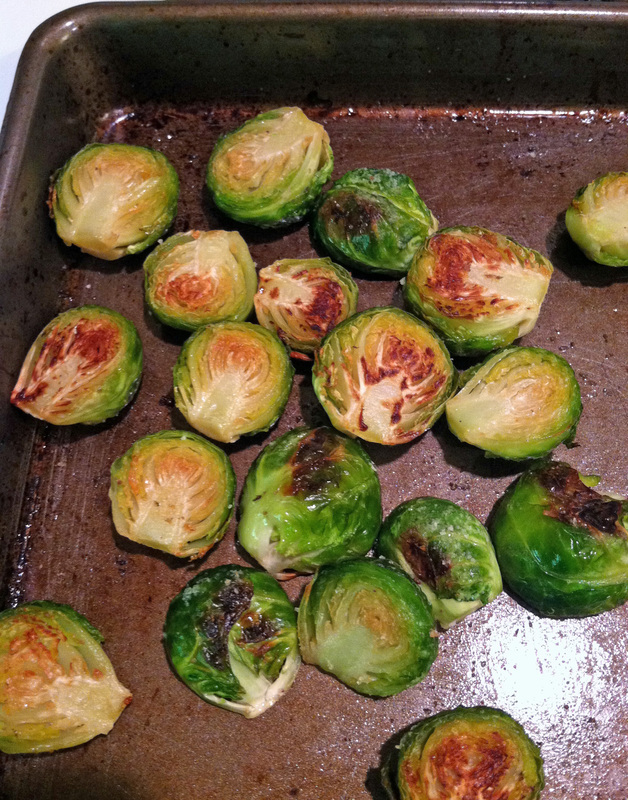 Put the Brussels sprouts on a rimmed baking sheet. Drizzle the bacon grease over them and toss to distribute it well. 5. Sprinkle generously with salt and add a few grinds of pepper. 6. Roast for 10 minutes. Stir or turn over with a spatula and roast an additional 10 minutes, or until they are tender and browned a bit. I simply adore roasted Brussels sprouts. (And Mr. Rosemary does, too. Lucky me!) And they really don’t need any adornment. 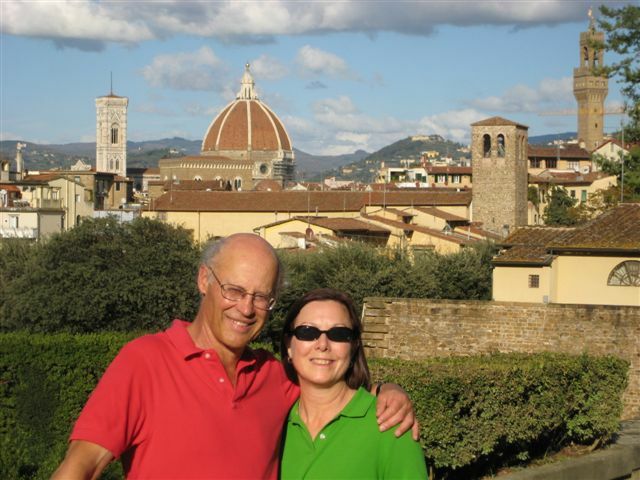 The only thing that’s close is pan-frying (kind of dry roasting) in an iron skillet and then reducing balsamic vinegar with them. Almost as good. Not quite as simple.